The Whirlwind® Mobile Air Classifier from Sturtevant Inc. The Whirlwind® Mobile Air Classifier effectively removes excess fines from aggregate products bringing materials formerly considered waste materials into specification. The Mobile Air Classifier’s dry separation process eliminates the need for water typically used in washing plants, which is especially important in remote areas where water is not readily available. The Whirlwind® Mobile Air Classifier is easy to transport with a rugged chassis frame and a heavy duty tri-axle suspension. 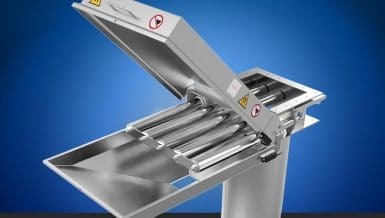 The Whirlwind® Mobile Air Classifier has three conveyors that hydraulically fold for transport and un-fold for set-up. Raising and lowering of the air classifier is accomplished with heavy duty dual hydraulic cylinders for easy and safe set-up and tear down. 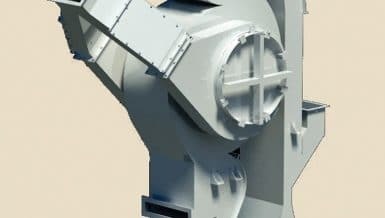 The material to be separated is conveyed up the integral feed conveyor to the top of the Whirlwind® Mobile Air Classifier. The material enters the feed inlet and falls onto the rotating distributing plate. Centrifugal force sends the materials onto the lower distributing plate for even distribution into the airflow. Due to gravity, the larger particles settle into the coarse cone and finer particles are swept upward into the whirling selector blades for further classification. During the secondary separation, oversized particles are spun out of the air flow and drop down into the coarse cone. The air separated coarse material is discharged out of the inner cone through the side spout and onto the discharge conveyor. 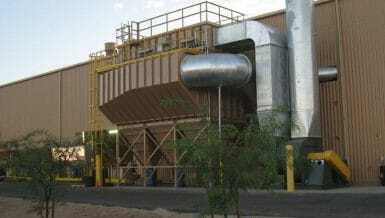 The discharge conveyor places the coarse material in the coarse stockpile in front of the unit. The selected fines continue through the circulating fan and into the fines cone. 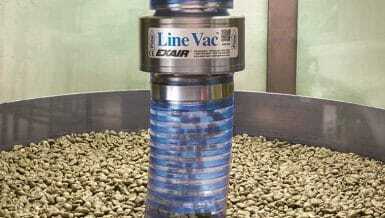 Fines drop out of the recirculated air flow by gravity at the fixed return air vanes and the cycle repeats. The air separated fines are discharged out of the outer cone through the bottom spout and onto the discharge conveyor. 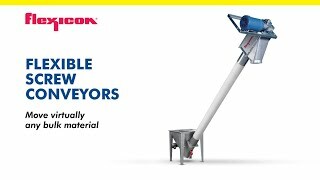 The discharge conveyor places the fines material in the fines stockpile on the side of the unit or in a bin/silo for truck load out. The moisture content of the material will have a determining factor on the production rate and the degree of separation. The Whirlwind® Mobile Air Classifier performs at maximum efficiency with dry aggregate materials. The Whirlwind® processes materials between 3-5% moisture content, but for best results a moisture content of 2-3% or less is preferred. This article is published by Sturtevant Inc.